Sandoz Canada is led by a diverse team with extensive experience in the pharmaceutical industry. Michel Robidoux has been President and General Manager of Sandoz Canada since 2010 and has nearly 30 years of experience in the pharmaceutical, generics, consumer, and medical devices industry. Under his leadership, Sandoz Canada has become one of the fastest-growing pharmaceutical companies in Canada while broadening its portfolio beyond generics to include specialty pharma, biosimilars, and OTC products. Sandoz has an engaged workforce of more than 200 employees in Boucherville and was one of Canada’s top 100 employers in 2017 in addition to being amongst the top 35 best employers in Montreal in 2018. Mr. Robidoux originally joined Sandoz Canada as Vice President, Sales in 2008. For more than 10 years before joining Sandoz/Novartis, Mr. Robidoux held the position of Vice President at Roche for different business units within the company such as Diabetes Care, Professional Diagnostics, Molecular Diagnostics, and Applied Science. Prior to Roche, he worked at Bayer for 7 years in various sales and marketing roles of increasing responsibility. 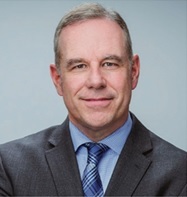 He is an active contributor to the industry as a member of the Canadian Generic Pharmaceutical Association (CGPA), the Chairman of the CGPA Biosimilars Committee, an active member of the Board of Directors of the Canadian Association for Pharmacy Distribution Management (CAPDM), as well as a member of Board of the Centre Laurent Beaudoin. Mr. Robidoux holds a Bachelor’s degree in Business Administration from the Université du Québec à Montreal. Daniel Abran is the Executive Director, Commercial Operations Quality, and has been working for Sandoz Canada since February 2007. As such, his duties include quality assurance for business development, product recall and complaint management, and handling establishment licences and quality contracts. He is also in charge of releasing contract manufactured and imported product batches for the Canadian market and monitoring the compliance of some 80+ manufacturing sites in the Sandoz Canada supply chain. Mr. Abran began his career as the owner of the research and development consulting firm, D.A. LAB Inc., and then went on to become Senior Scientist and Pharmacology Manager at Theratechnologies Inc. He has a PhD in Anatomy from Dalhousie University in Halifax and did his post-doctoral research on neurotransmitters and the cardiovascular system at the Research Centre of the Sainte-Justine Hospital in Montreal. He is the author of more than 40 articles and book chapters, and holds three patents. Martin has more than 25 years of experience working for global organizations in the retail, medical devices and pharmaceutical industries. Before joining Sandoz Canada, he was Vice President, Diabetes & Cardiovascular business unit, at Sanofi Pharmaceutical, based in Montreal. He began his career with Glaxo Canada in Montreal and subsequently held senior positions, including in sales, account management and marketing, with such companies as Johnson & Johnson, Roche, Analogic Corporation and Bristol-Myers Squibb. M. Arès holds a bachelor’s degree in Finance and Marketing from HEC Montréal and has also completed several professional development programs in finance, leadership and marketing, among others. Jocelyn Binet has been Executive Director, Integrity and Compliance, Commercial Operations, since January 2018. Before joining Sandoz in 2017, he was Director of Inquiries and Syndic at the Ordre des pharmaciens du Québec. He also worked as a legal director, corporate secretary and legal consultant at Eli Lilly Canada. Mark Boehmer is Vice President Business Development & Portfolio since February 2017. He has worked in our industry for more than 25 years and is a pharmacist with hospital and community experience. He was most recently (since 2011) Vice President, Pharmaceutical Procurement, at the Katz Group, where he was responsible for managing the generic program for Rexall Pharmacy and gained a vast experience with Canadian pharmaceutical products. Prior to Katz, M. Boehmer worked for several well-known pharmaceutical companies, including Merck Frosst Canada, Eli Lilly Canada and Schering Canada, before joining Patheon Inc. as Senior Manager, Pharmaceutical Development Services, in 1996. Over the following 15 years, he held increasingly senior positions with this leading global provider of outsourced drug development and manufacturing. He holds a BSc (Chemistry) and Bachelor of Pharmacy from the University of Manitoba and an MBA from McMaster University, Michael G. DeGroote School of Business. Vincenzo Ciampi has been Executive Director, Innovation and Strategic Projects since 2016. Mr. Ciampi brings more than 20 years of experience in business development, marketing, corporate strategy and change management with major corporations in the insurance, IT, financial and health service sectors. His previous positions have included Director, Strategic Projects, at CGI; Vice President, Strategy and Corporate Development as well as Vice President, External Communications and Public Affairs, at Standard Life Assurance; and Vice President, Corporate Marketing at Aon Hewitt. Prior to joining Sandoz Canada, he was General Manager, Strategy and Product Management, at Telus Health. Mr. Ciampi holds a Bachelor of Commerce degree in Marketing/International Business from McGill University and a MBA from École des Hautes Études Commerciales. François David joined Sandoz in Octobre 2016. He has a broad experience in the world of Consumer Products. He has had several important mandates during his career, including managing the nation-wide activities of pharmaceutical and medical sales departments, trade marketing, telemarketing, sales, and more. Before joining Pendopharm, he was the National Commercial Director of Pierre Fabre Dermo-Cosmétique Canada. Previously, he was a senior Brand Manager at Molson Coors Canada and Director of Local Sales of Montréal NRJ and Rock Détente for Astral Media Radio Québec. He also worked for nine years for Johnson & Johnson Canada, one of the top 3 businesses in OTC, as National Director of Sales (RoC), Product Director – Professional Marketing, Product Director – Stayfree and K-Y brands, and Product Manager – Neutrogena brand. He has a Bachelor’s degree in Administration with a concentration in Marketing from the Université de Sherbrooke and has completed several specialized educational programs. Martin Fournier has been Vice-President Finance and CFO since 2015. He joined Sandoz in 2006 as Director, Information and Financial Accounting. He has over 17 years of diverse project management experience in the field of accounting and finance, mainly within businesses in the manufacturing sector. Before joining Sandoz, he held various positions in accounting firms at the auditing and consulting levels, most recently at Deloitte as Senior Director, Management and Technology Consulting. Mr. Fournier holds a Bachelor’s degree in Accounting, B.B.A., from Hautes Études Commerciales Montréal. He is also a member of the Ordre des comptables agréés du Québec. Mauricio Ede is the Chief Medical & Scientific Officer and has been working for Sandoz Canada since February 2019. Cardiovascular surgeon and PhD in Physiology, Mauricio has more than 20 years of experience in health care in Canada and the United States. He has led scientific and regulatory teams in several pharmaceutical companies, including Merck Canada, Baxter and Abbott. He has lent his medical expertise and leadership to numerous product launches approved by regulatory authorities, including Health Canada, as well as to successful reimbursement efforts in Canadian provinces. He has also authored numerous scientific publications, mainly in the field of cardiovascular surgery. Geneviève Giguère holds the position of Vice President, Supply Chain & Launch Management since March 2016. In this role, Ms. Giguère is responsible for supply chain operations, including demand management, procurement, distribution and customer service. She is also responsible for the relationship with our external partners to align strategies and execution with the various functions of the organization. Prior to this role, Ms. Giguère held the position of Executive Director, Supply Chain from August 2015. Previously, she was Executive Director, Strategic Project Management, where she was responsible for business planning and the company’s strategic projects. She joined Sandoz from Deloitte Consulting where she managed projects for the healthcare industry, in various areas of the value chain such as logistics, procurement & sourcing and finance. She also developed strategies and performance management models for large organizations. Genevieve holds a Bachelor degree in Industrial Engineering from École Polytechnique in Montreal, as well as an Executive MBA from Concordia University. Karine Matteau leads the Biosimilar business segment and the growth of Sandoz’ portfolio of biosimilar products in various therapeutic fields. Ms. Matteau has over 20 years of experience in the pharmaceutical industry in various commercial strategic roles. She joined Novartis in 2007 and in the last 11 years, she has had a successful path through various commercial roles in multiple general medicine and specialty divisions. In her last mandates, she assumed leadership positions in Sales & Marketing within the Novartis Oncology division. Prior to Novartis, she held various commercial positions at Sanofi-Aventis Canada, mainly in CV & Metabolism/Diabetes. Karine Matteau’s academic background includes an MBA from HEC Montreal and a Bachelor of Science from McGill University. Isabelle Robitaille has been Vice President, Legal Affairs and General Counsel since January 2019. Ms. Robitaille joined Sandoz in 2014 and is an expert in the fields of business and commercial law, mergers and acquisitions, and intellectual property rights. She holds a Bachelor of Law from the Université de Sherbrooke and has 20 years of experience in transactional law, including more than 15 years in the pharmaceutical industry. Marc St-Pierre holds the position of Vice President, People & Organization. His main responsibilities are to oversee the design and implementation of innovative programs focused on energy, development and job satisfaction in order to attract and retain the best talent, while ensuring policy alignment. He also leads the Communications team, which develops and implements communications plans intended for internal and external audiences in order to promote the reputation of Sandoz as a choice employer and industry leader in Canada. Having joined Sandoz (previously Sabex) in 1997, Mr. St-Pierre has over 25 years' experience in the field of human resources management. He has previously held several management positions in industry-leading companies, more specifically in the publishing/direct mail business (with Reader's Digest) as well as telecommunications (with Canadian Marconi Company). Mr. St-Pierre holds a Bachelor's degree in Industrial Relations from the Université du Québec en Outaouais and is a member of the Ordre des conseillers en ressources humaines agréés (CHRP). To know more about the Sandoz Global leadership team, click on this link and you will be redirected to Sandoz.com.